Rahul Gandhi in 2019: Congress chief getting battle-ready to take on BJP in parliamentary election, or is he? 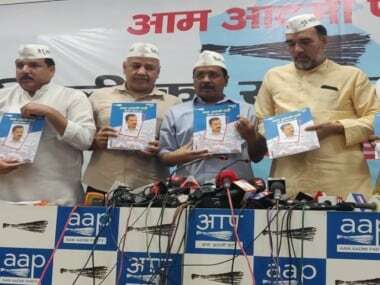 A recent survey by CSDS-Lokniti on the political mood of the nation has brought much cheer to the anti-BJP camps. It suggests that Narendra Modi's rating has dipped over the last few months, while Rahul Gandhi has improved his standing to close the popularity gap between the two. According to the survey, the drop in Modi's ratings is more pronounced in middle India. It seems the middle-aged and middle class feel most aggrieved by the perceived deficit between promise and delivery. 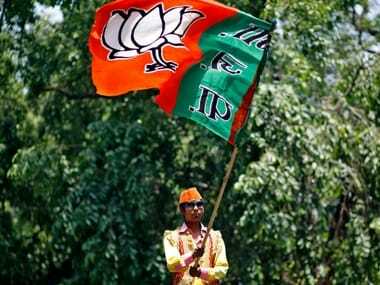 While there is no way of knowing how the feedback has been received, if at all, in the higher echelons of the BJP and the prime minister himself, the party's social media handles remain defiant, dismissing all such polls as motivated and manipulated. However, one can sense incipient despondency creeping into genuine supporters of Modi. 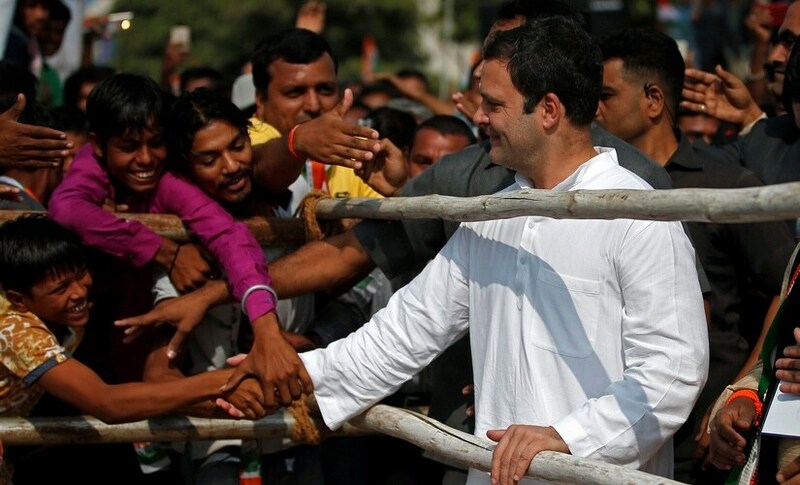 Many neutral observers, even if they take the findings with a large dollop of salt, are intrigued by the rise in the political stock of Rahul 2.0, as he is being referred to since the Gujarat elections and his taking charge as the Congress president, like a "second coming" of sorts. 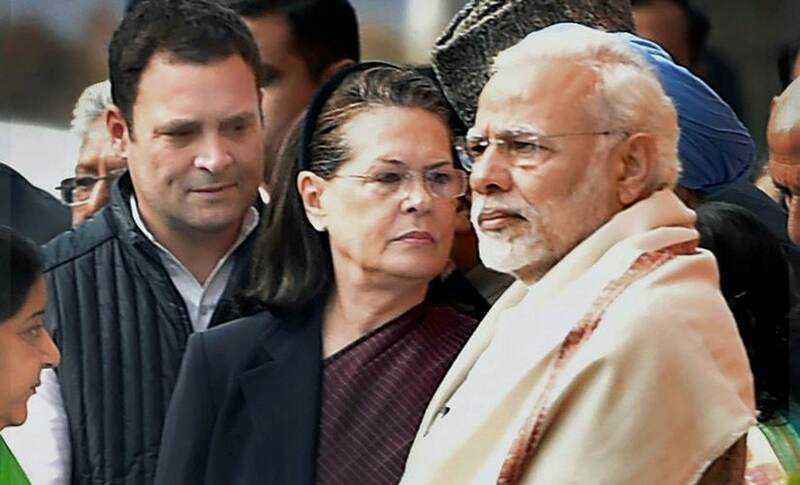 While analysts ascribe Modi's current ratings to four years of incumbency, they are at a loss to explain the beginnings of a glow around Rahul in spite of his frequent gaffes, obvious lack of substance and political immaturity. It is true that Modi has been bogged down by headwinds from multiple quarters and coping with the anti-incumbency of BJP governments in various states. But Rahul is yet to gain the stature of his natural alternative. In fact, regional stalwarts like Mamata Banerjee and Sharad Pawar who are trying to stitch a united opposition alliance to fight the BJP have plainly stated that Congress cannot assume automatic leadership of the coalition, if it is in a position to form the government in the next Lok Sabha. In 2014, Modi went to the electorate with a clear message of "change" and "acche din". In stark contrast, Rahul has not been able to offer, as yet, any alternative vision except for pulling down Modi, the BJP and the RSS on all counts at every opportunity, almost as a "default setting". His criticisms are often embellished with half-truths or accusations that sometimes undermine his own credibility. So, what exactly has been working in Rahul's favour? The best, and arguably, the wisest decision that Rahul has taken is to hand himself over to a team of communication, PR and social media experts — reportedly managed by, if the "Durbari" grapevine is to be believed, family friends. That Congress now has an analytics cell is widely known and, even though curtains are down on Cambridge Analytica, it is possible that it is working with other professional election strategists. Rahul is clearly acting to a script and although critics might find fault both with the form and content of his delivery, it is beginning to make impact as was evident both in Gujarat and Karnataka. 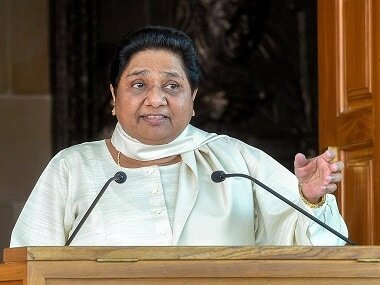 Though the jury may still be out on the results of the temple visits and Dalit outreach, the cultivated angry and indignant image, accusing Modi of betraying the peoples' trust for in favour of the rich, may cut ice with some disenchanted constituents who had voted for BJP en-masse for four consecutive terms in Madhya Pradesh and Chhattisgarh. All said the Congress chief is displaying high level of energy, fighting instinct and sincerity, which has impressed even those die-hard Congress loyalists who had given up on him sometime back. Some may find Rahul's social media engagement elitist. However, it is probably resonating with the traditional Congress voters among the English speaking cultured urban set. At a different level, viral campaigns on WhatsApp are being used to reach to the masses. Sections of the old pro-Congress media, who were languishing under neglect from the Modi dispensation, have been co-opted and a steady stream of "scoops" are being generated to give BJP a taste of its own medicine by attacking its top brass on corruption. Rhyming Nirav Modi with Narendra Modi shows a new street smartness that had gone missing in the party. Above all, this has energised the old ecosystem that is acting as a force multiplier. The desire to defeat BJP is so overwhelming among them that BJP has been portrayed as "evil" that must be eliminated at all cost. To achieve that objective, even allegations of egregious corruption of Mayawati or Lalu Yadav can be overlooked, opportunistic moves such as the one in Karnataka condoned, sworn enemies like CPM and Trinamool, BSP and SP, JDU and RJD can come together. Congress always had its band of palace loyalists, especially among retired bureaucrats, intelligence officers, diplomats, academics and veteran journalists, who are happy to lend support in the interest of their own resurrection. Besides, Congress has a huge asset base among the legal fraternity, which was put to good use in the Loya case, judiciary revolt and impeachment motion against the CJI that helped to charge up anti-BJP sentiments. One area of weakness for Rahul is political acumen. 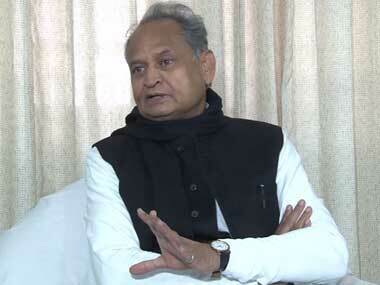 But, here old family retainers like Ahmed Patel, Ghulam Nabi Azad and Ashok Gehlot have been drafted to rally around him, as one saw in Gujarat and Karnataka. Digvijaya Singh has been eased out but Kamal Nath brought in to the fore. In contrast, the BJP campaign seems unable to market the government's achievements or pierce through Congress' negative propaganda. BJP's social media warriors appear to be missing the chops they showed in the run up to 2014. They are often being forced on the defensive. And the troll army, self-appointed or marshalled, is not helping at all. They sometime work against BJP's own cause by viciously attacking credible middle of the road voices who either go silent or become disenchanted. The most recent casualty of its over-the-top reaction was Sushma Swaraj. The spends to advertise the success of social security schemes like Ujjwala have turned into blind spots due to saturation exposures. They are beginning to look more and more like sarkari propaganda of Indira Gandhi government's 20-point programme. As the government enters the slog overs, the administration seems to be going through the motions without passionate engagement. The entire onus is, therefore, on the Prime Minister and the Prime Minister Office. In 2014, Modi wore only one hat, that of the challenger. Given the abysmal record of the UPA government in the last phase, he was a messiah of hope. Now, Modi has to manage both governance and the campaign. This requires careful balancing of priorities and distribution of scarce bandwidth. Always ahead of the curve, Modi is taking the game to the next level by directly reaching out to the voters — bypassing the media — through Mann Ki Baat, webinars on the Namo app with beneficiaries of government schemes and party workers. Whether he will be able to turn the tables will be known only in 2019 but the consummate politician that Modi is, he may have many aces up his sleeves. So, like the proverbial swallow in summer, one survey does not make an election. The game has only just begun. 1Rahul Gandhi in 2019: Congress chief getting battle-ready to take on BJP in parliamentary election, or is he?